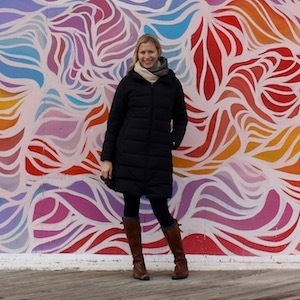 I’m Brianne Miers, and I’m a Boston travel blogger who is working to see the world by balancing my full-time job with a life of travel. Read on to learn more. When did my “traveling life” begin? I was a lucky 11-year-old girl from New Jersey when I accompanied my parents, my younger brother and my dad’s high school social studies class on a three-week trip to China. That was all it took for travel to consume my every daydream – and every spare dollar and hour of vacation time – for the next 20+ years. However, since my parents were teachers, and we lived in a small town, most of our vacations were to destinations within driving distance – various battlefields, museums and historical sites (and yes, the Jersey Shore too!). In addition to China, my only other international trips during elementary school and high school were visiting a pen pal in Canada, and spending a whirlwind week in Europe – visiting London, Brussels and Amsterdam – during my freshman year. 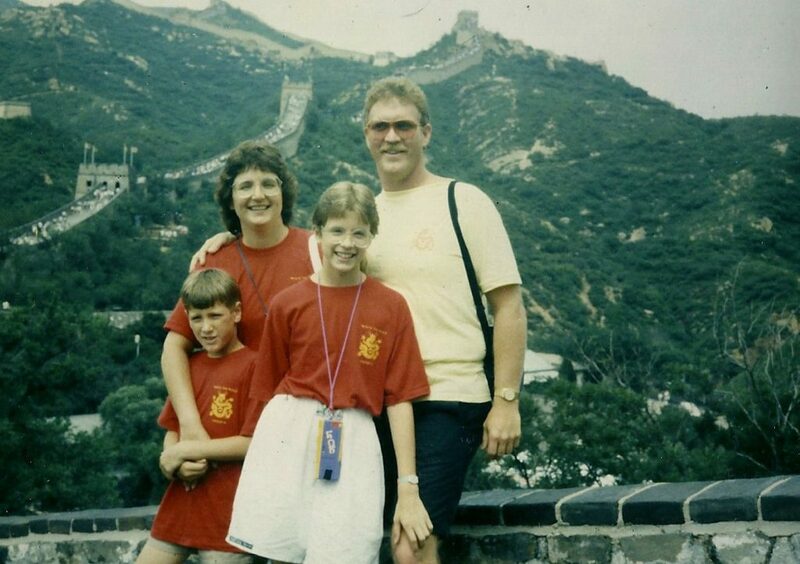 Here I am with my family on the Great Wall of China in 1988 in what is the worst photo of me ever taken. How have I traveled so much? I knew from the moment I entered Syracuse University that I was going to study abroad. SU has an extensive study abroad program, so I was able to spend spring semester of my junior year in the lovely Alsacien city of Strasbourg, France. Thanks to the program’s focus on “European Identity,” we traveled nearly every weekend to other cities like Amsterdam and Paris, and on a week-long class throughout Eastern Europe. After college, I moved across the country to Boulder, Colorado, and spent nearly three years at an intense job with a low salary and few vacation days, so most of travel was back to New Jersey to visit family. When I returned to the east coast for graduate school at The George Washington University in Washington, D.C., I knew I wanted to make the most of having a summer off, so I volunteered for two months teaching English in Pokhara, Nepal. In D.C., I worked for two international non-profit organizations before relocating to Boston, Massachusetts, for work in early 2008. As my career progressed, I became very creative with budgeting and vacation days. Eventually, though, I wanted more flexibility to travel, so in summer 2013, I founded my own communications consulting agency, Kind Communications. After five years, though, I missed the stability of a full-time job (and getting to take vacation days and sick days! ), so I decided to leave self-employment behind and join a community college as its director of marketing in December 2018. To date, I’ve been to more than 50 countries – my favorites include Thailand, Colombia and Croatia. Two recent long-trips include spending two months in Southeast Asia during Fall 2014, two months in India during Winter 2015 working for The Travel Scientists and one month traveling in Spring 2018 (including spending two weeks at sea on the Nomad Cruise). Where am I going in 2019? January: Friends and I spent a fun 24 hours in Worcester, Massachusetts, where we did a lot of eating & drinking, checked out the impressive street art scene and enjoyed a stay at the new AC Marriott. I also made a quick getaway to New York City to see my college friends for our annual get together. March: I’m gearing up for my first work trip for my new job – I’m heading to sunny San Antonio, Texas, for a conference. I’ll also be getting a final taste of winter in Hanover, New Hampshire. I started this blog in summer 2015 with the goal of encouraging professionals to take time away from their busy lives to travel. I wanted to share stories of those of us who have responsibilities like jobs, homes, pets, as well as spouses and children, yet still make travel a priority to inspire others to do so too. I also enjoy providing travel advice and tips based on what I’ve learned over the years in order to make travel easier and more accessible. I also am very committed to traveling as sustainably as possible. For me that means supporting responsible companies by doing my research, leaving a light environmental footprint wherever I go and ensuring my tourist dollars stay in local communities. I’m not perfect, I admit, but I try and do my part. To spread the word about sustainable travel, I am active with several organizations in this space, Impact Travel Alliance in particular. 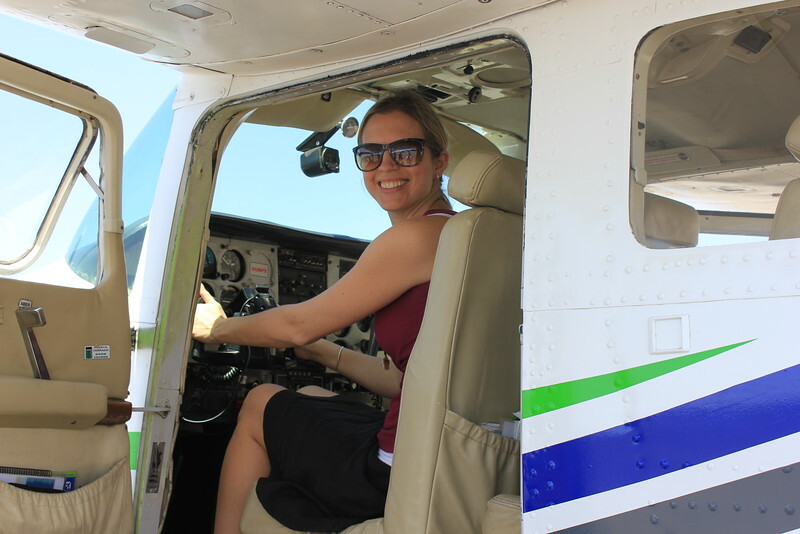 My other areas of expertise include solo female travel, budget travel, long-term travel, and adventure travel. You make a lot of friends in Vietnam when you are tall and blonde! What is my blogging philosophy? Please feel free to contact me with any questions or opportunities to collaborate. Thanks for reading and happy traveling!